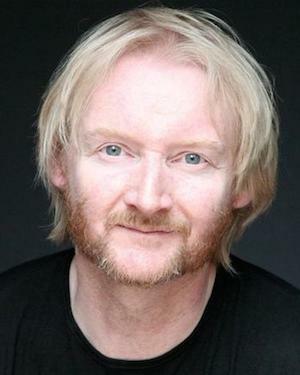 Welsh actor John Weldon trained at the Royal Welsh College of Music and Drama. John is mainly known for his work in Film and Television, having made his first television appearance as Kenny in the first series of Skins for E4 and Channel 4. He then went on to play the role of Dafydd Lewis in The Indian Doctor and Hywell Davies in Doctors, both for the BBC. John's film credits include Petroleum Spirit (Mirror Entertainment), Muppets Most Wanted (Walt Disney Pictures), Ironclad (Mythical Entertainment), Caught in the Act (Carnaby Films) and I Know You Know (Parallel/IKYK Ltd). John played the role of Peter The Cuddler in the short film, D-Ice and Pansy, which was entered into various European Film Festivals. Recent credits include BAFTA Cymru nominated series Born to Kill for Channel 4 and feature film Apostle (XYZ Films/Severn Screen) alongside Dan Stevens and Michael Sheen which was released in October 2018 on Netflix.